Okay, so we are in the mood for some Mexican mix-in tortilla foods, fajitas to be precise. Never heard of them? Not to worry, we are going to let you in on what they are and what it is best served with. 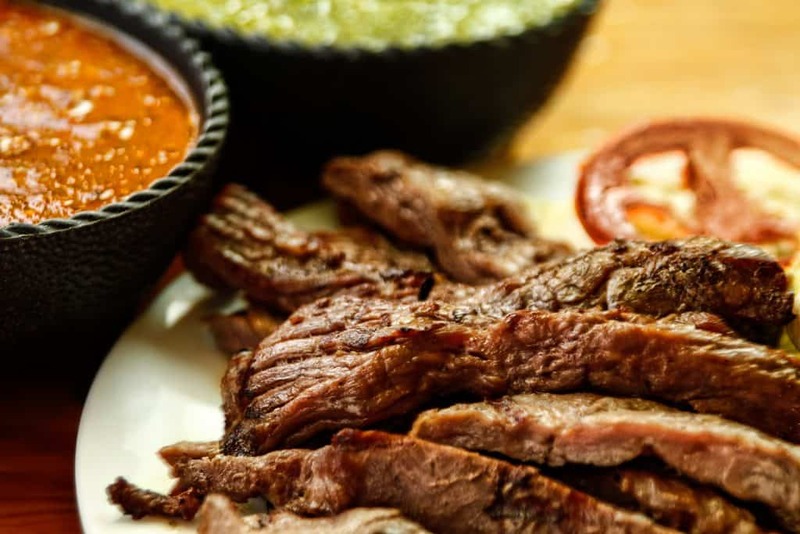 Most of those who know Fajitas find it hard to differentiate it from all the other kinds of Mexican dishes involving tortillas, making it an easier choice to categorize all of them as one and the same rather than making an attempt on knowing their difference. Fajitas are made up with either chicken or meat, what’s more? It is served in tortillas. It is a whole dish on its own, and it can be accompanied with side dishes. It is quite easy to mix a wrap of fajitas up for any other tortilla-based foods as you aren’t sure what to call it. We have some fajita recipes to help you get a good landing on the dish and some side pairs. Though Burritos and fajitas bear a lot of resemblance due to the typical tortilla wrapping they share, they have some differences. 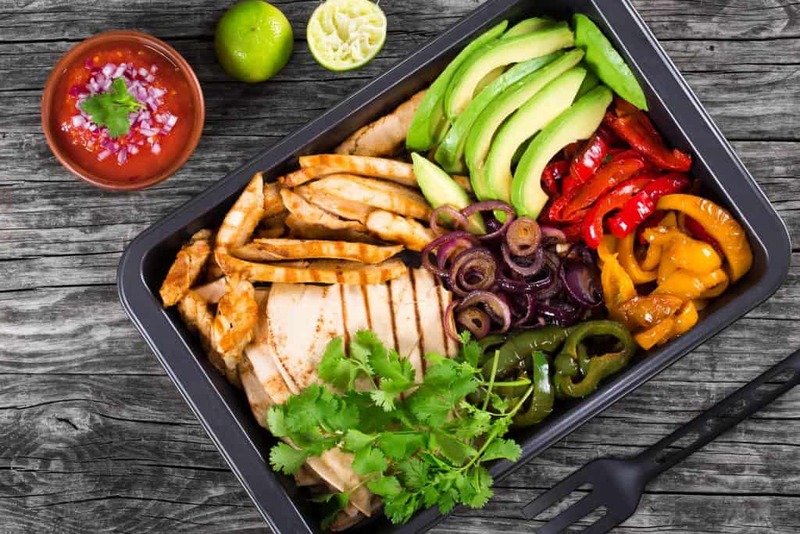 Unlike burritos which consist of large tortilla wraps stuffed with fillings ranging from beans to vegetables, Fajitas consist mainly of shredded or cut chunks of meat or chicken which could be stewed or plain. Burritos usually come in larger sizes that fajitas do, making them look fuller and heavier in appearance. Fajita itself refers to the internal meat or chicken filling before it is wrapped in a tortilla. Fajitas are barely as full as burritos but are tasty as well. If a tortilla doesn’t contain meat or chicken predominantly in it, then it can no longer be referred to as fajitas. 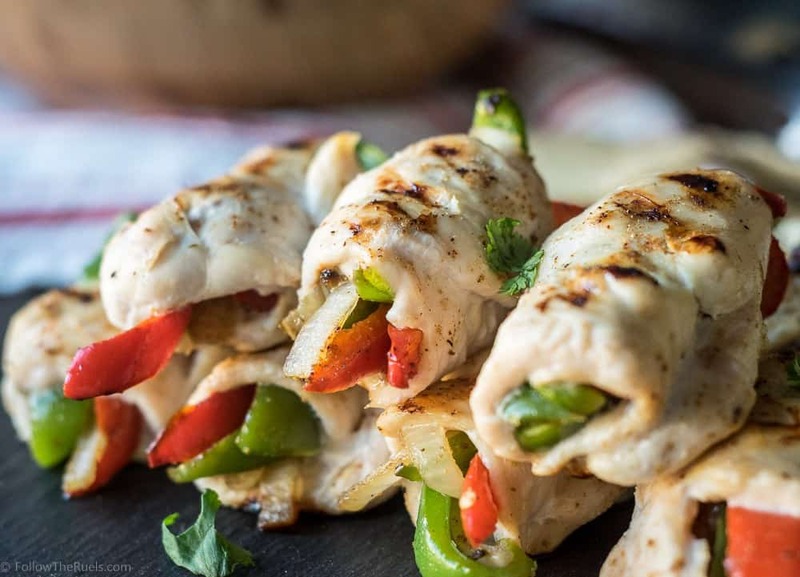 If you are new to fajitas or you are just starting to delve into the world of Mexican dishes then this recipe for an easy chicken fajita by Follow the Rules is for you. She made it look so easy and neat; this should you the head start you need for more adventurous tryouts. If you would prefer the beef fajitas, then you can sneak a peek at Savoring Today, their skillet beef recipe is superb, it is so filled with the meat and vegetables that the cook didn’t bother to close up the tortilla. You can have it right out of it! I like the mixture of lime, and I also like the fact that the ingredients can be mixed few days ahead of preparation, that is some real time saving don’t you think? The skillet beef fajita is another easy fajita that can totally be home made and enjoyed with family and guest. So you want to have a mix of both the chicken and beef, with a recipe like this I got from Meal Planning Magic, you can definitely eat your fajita and have it. 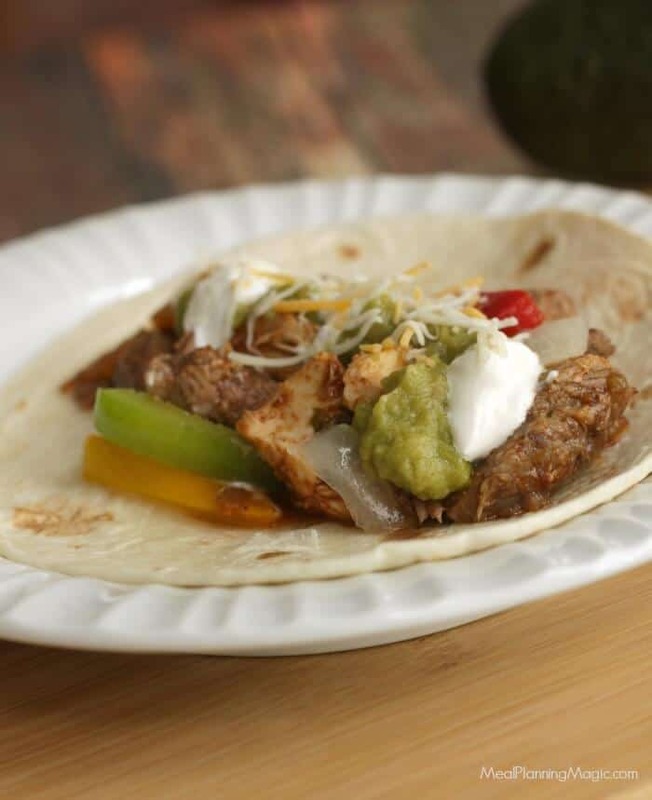 The only part of it that might make it not so quick a fix is the cooking time, it is a slow cooker recipe, so you are in for some long time cooking to fajita perfection all the way. If you have some time on your hands, it is a good recipe to make use of and make lovely fajitas. Since fajitas are made up of mostly meat or chicken, you can pair it up with a pasta salad that still gives room for the taste of the main dish. Beans and Couscous salad are good for this, and you can find a recipe at Kin’s Cravings. If you don’t know how to go about making couscous, that should not be a problem as it should be stated on the pack and then you have it mixed with vegetables. So you don’t have to be afraid of the procedures, all you need to do is cook it and mix it with the remaining ingredients. And for my very vegan and salt conscious friends, this video is for you. Do enjoy. If you want to go Mexican for Mexican, try making Pico de Gallo, (try to spend less time pronouncing it). It is a very easy salsa that can me made using different fruits and ingredients including tomatoes. Depending on how heavy or light you choose to make your fajitas, a salad should go well. If you want a delicious and full coloured salad with different vegetables, use this recipe by Gimme Some Oven. The salad is filled, and it looks tasty even in the pictures. It has all the directions for you to follow to get something similar and hopefully better. As always, you can use what you have available to you, just make sure the salad turns out as beautiful and more mouthwatering. Fajitas are a very simple kind of dish although most people get overwhelmed at the thought of venturing into Mexican ingredients. There is always a place to start from when getting into foods and cooking styles of different cultures and you can get a fajita seasoning from here if you wouldn’t want to go through the stress of mixing up the spices on your own. This should give you an equally good result at the end of the day. For the cookbook fans, here is one on how to make much more fajitas and don’t forget to let me in on all the cooking fun times you have with your fajitas. Adios. My name is Sabrina. I’m a total foodie and a wanderlust-driven traveler. Throughout my travels, I’ve been able to taste many cultures and curate a ton of recipes! I truly hope you enjoy the recipes I’ve been able to enlighten you with through the power of blogging.